How is the Spanish Prime Minister using an old political tactic to modernize Spain’s economy? The use of royal decrees to push economic reform has sparked concern Spain’s parliament is being weakened. In 2012 alone, Spain's PM used twice as many royal decrees as the yearly average of all his predecessors. 1. 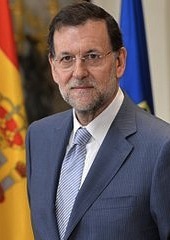 Mariano Rajoy, Spanish Prime Minister, issued more emergency laws than any of his predecessors in his first year of office. 2. Although the decrees have been largely used to push economic reform, it has sparked concern that reliance on so-called “royal decrees” is weakening Spain’s parliament. 3. In 2012, his first full year as prime minister, Rajoy issued 29 royal decrees. 4. Since Spain’s transition to democracy in the late 1970s, governments have issued 14 decrees a year on average.